Filmgraphics Entertainment’s David Denneen directs an all-star cast, led by Hollywood legend William Shatner, in Foxtel’s latest campaign, “Introducing Foxtel Broadband: Powered By Entertainment”. 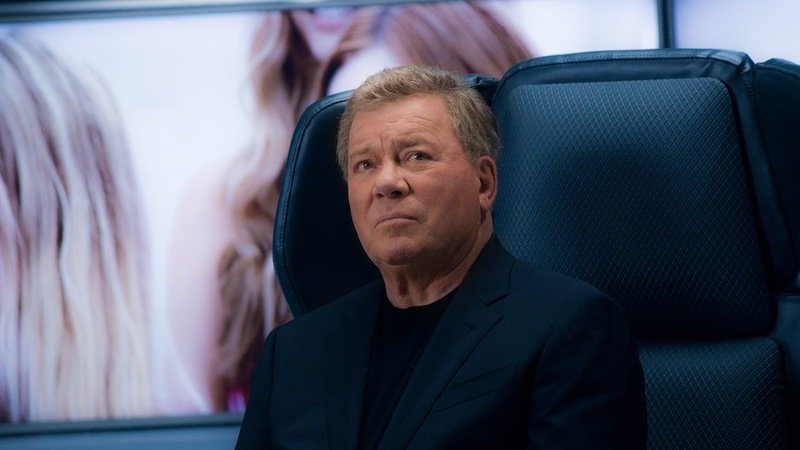 Devised by Felix, Foxtel’s in house creative team, and Clemenger BBDO Sydney, the broadband campaign sees Shatner abseil into a giant WiFi modem to illustrate the ‘Powered by Entertainment’ theme. Shatner, best known for his iconic role in Star Trek, is joined by a host of Australian celebrities, including rugby phenomenon Israel Folau; the Melbourne Housewives; comedienne Magda Szubanksi; NBA star Matthew Dellavedona; Olympic sprinter Matt Shirvington; and Formula One’s Daniel Ricciardo. To cater to the availability of the cast, Denneen shot the celebrities out of sequence, predominantly against a green screen. Lots of preparatory work went in to careful storyboarding and the creation of a previs that was then used as a blueprint. Denneen then worked closely with Method Studios and Creative Director, Richard Swan, to create the background environments. Filming began with Izzy Folau on day one, followed by the Melbourne Housewives, Magda Szubanksi, Matthew Dellavedova and Matt Shirvington on day two. Denneen briefed the Foxtel team via e-mail who shot Daniel Ricciardo on day three, and the last day was the big set day with Shatner and his side-kick Roger, played by Ben Bordeau. One of the biggest challenges the team faced was not being able to shoot with Shatner until ten days before the delivery date, requiring Method to pull double shifts to ensure that the finished commercial was delivered on time. Anna Fawcett, Executive Producer of Filmgraphics, comments: “When you work with David Denneen, you know you are going to get a first class production. I’ve been working with him for over 20 years and he always delivers. This campaign has so much entertainment and production value in it and it's tremendous fun.